Canna ‘Maui Punch’ PP#23931 I am extremely excited to finally release this new hybrid canna we have been working on for so long. Canna Maui Punch PP#23931 is a dwarf canna growing 2 to 3 feet tall and blooms very quickly in pots. The foliage is a dark green. The main attraction is of course the flowers that are bright yellow and spotted with red dots more so than any other hybrid I have seen. The flowers are very colorful and quickly fall off after they are done flowering keeping the plant clean. 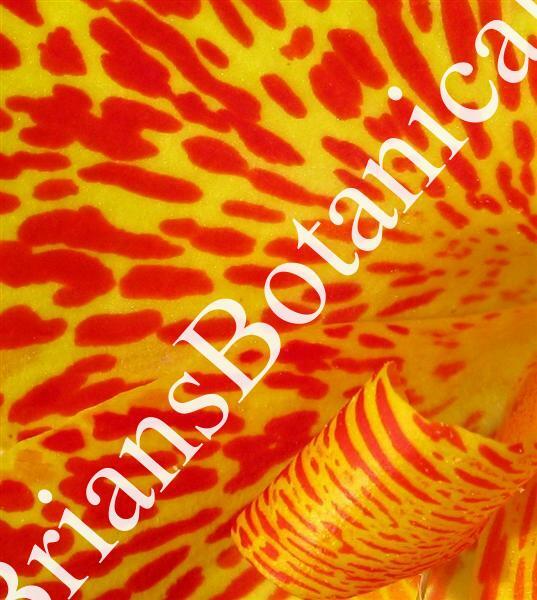 This canna is in the punch series TM for a reason it grows and acts just like the well known Canna Orange Punch. We now have Orange punch available as well as both are new hybrids Lemon Punch and Maui Punch. This collection should really put some color to any garden. Plants are potted in 4 1/2 inch pots. Similar to last photo.